Diffuse Success Essential Oil Blend when beginning new endeavors or setting new goals. Success uplifts the spirit and energizes the body and mind, gently encouraging you to succeed at whatever goals you choose. 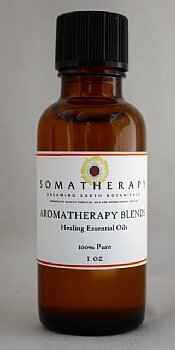 This blend may be added to any carrier oil such as our Sweet Almond or our Massage Base (2 drops per teaspoon) and is also very effective if added to a warm bath (2 to 4 drops) or diffused into the air (see Aromatherapy Diffusers for our line of diffusers). A blend of pure Essential Oils of Bergamot, Palmarosa and Petitgrain.